Amish Wagon Works: Swing Sets! 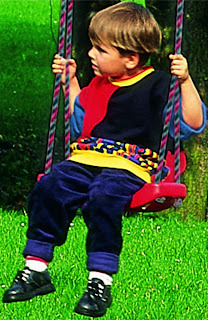 Who can forget the joy of a swing set as a kid? Contests to see who can swing highest, going down the slide, playing on the monkey bars. Whatever it was, that old swing set provided hours of fun! Here at DurableToys, we remember what fun it was on the swing set, and the children remind us by begging to spend every spare minute swinging! So we carry some swing sets as well, so other children can experience the joy of almost flying that swinging brings. Makes you want to be a kid again! 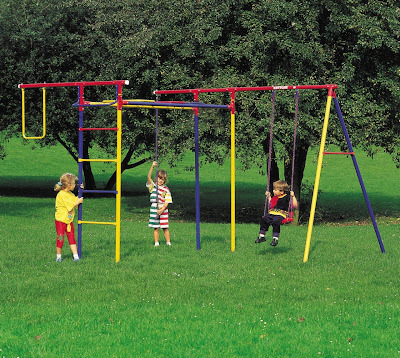 The Kettler Trimmstation Swing Set comes with all a young heart can desire, as it is more than half jungle-gym! 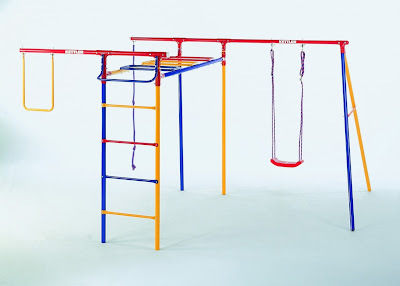 It has a trapeze bar, monkey bars, and climbing rope, and of course, a swing! 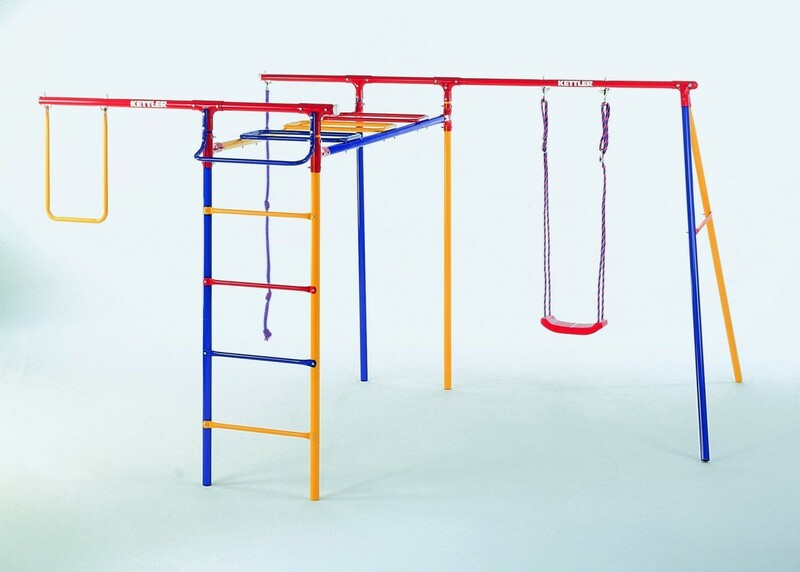 You can look on our store website to see all the high-quality workmanship and safety features built into this German-made swing set. Fun for the whole neighborhood! 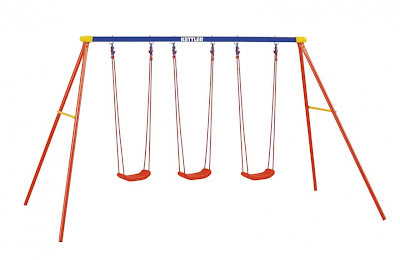 If you have multiple tykes who like to swing, you can also get the Kettler Deluxe Multiplay Swing Set. 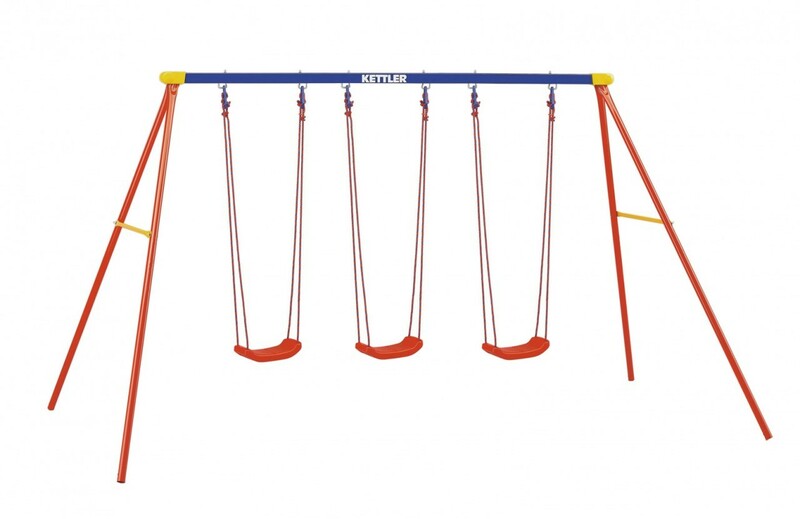 As you can see, it come with three swings, all made with a sturdy, no-tip design with adjustable ropes and galvanized J-hooks. If you already have a swing set, and just need a new swing, you can also purchase the swings separately. Now that's a rope to get a grip on! More than Wagons at Durable Toys!